From their modest beginnings as a local school choir in Dublin’s inner city in the mid 1990's, the Dublin Gospel Choir have become a household name in Ireland, playing a host of concerts each year, plus a large number of corporate and charity events. Their annual slot at Ireland’s internationally-acclaimed boutique festival Electric Picnic is now legendary and the choir are no stranger to large outdoor venues either, having performed to a sell-out 82,000 crowd at Croke Park. They have shared the stage with music industry heavyweights such as Stevie Wonder, Rod Stewart, John Legend, Damien Rice and The Chieftains. The choir also featured along with Chris de Burgh on a special New Year’s Day BBC Songs of Praise programme which was broadcast to over 35 million viewers worldwide. 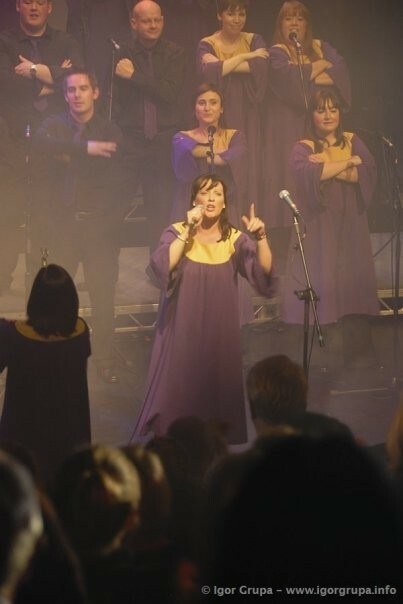 To great acclaim, the choir released their debut album Moving On in 2006; featuring a mix of gospel classics and contemporary cover versions. Their second album Doing Their Thing repeats this mix of the traditional and the modern. Doing Their Thing is out now! If you would like to add a unique and memorable touch to your wedding or drinks reception the Dublin Gospel Choir can help you create the atmosphere you want with songs like Amazing Grace, Oh Happy Day, If I ain’t got you, Higher and higher and All you need is love just to mention a few. Their repertoire covers a range of styles from gospel to traditional and popular and are they are always happy to accommodate any personal requests a couple may have. 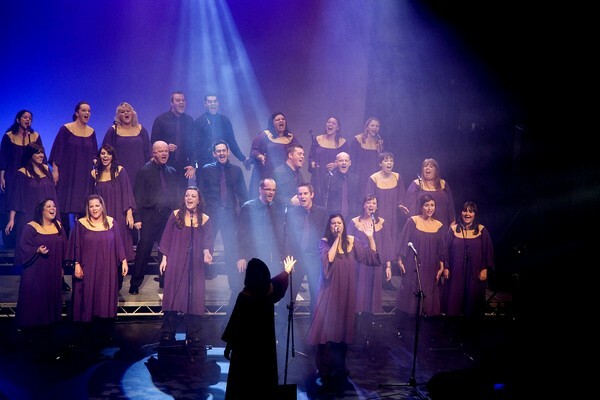 The Dublin Gospel Choir has a dedicated wedding group who have many years experience performing at weddings, providing both gospel soloists and groups and travelling nationwide. They hold a free, open wedding showcase once a month to offer couples an opportunity to see them perform in a church setting. Sang at our ceremony this weekend. Really beautiful and moving. Really added to the experience. 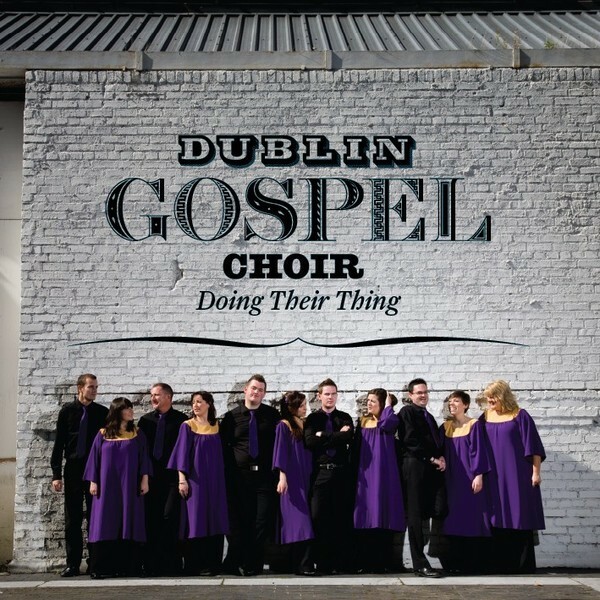 Just wanted to thank you and the Dublin Gospel Choir again for the beautiful church music at our wedding, it was amazing! You made our day extra special, I would highly recommend the choir to anyone thinking about booking them for their wedding, well worth it!! EXCEPTIONAL!!! We were blown away with the DGC's performance at our wedding earlier this month! They created an amazing atmosphere- surpassed all my expectations, they were so good I became so relaxed sitting at the top of the aisle as I was just enjoying the music and soaking it all in. They sounded better then the YouTube video, which are already very good. Great value for money, complete professionals, they go above and beyond to please you on your big day. Thank you Orla and co... You were one of my favour parts of the day- take my advice and book them now! HI Orla, I want to say a massive and genuine thank you to Kevin and the other choir members that preformed so beautifully at our wedding on December 31st, 2015. I have been a fan of the choir for a while, but I can honestly say my husband and I were absolutely blown away by them on the day. Their music evoked such emotion and happiness. As soon as the back door to the church opened, and I heard the first song, I was literally bopping, and dying to get in! Our expectations and hopes were absolutely surpassed. Our guests had such high praise for the choir, and many were still talking about them months after. Everyone was genuinely so impressed, it really set the tone for a wonderful day. I can honestly say you are such utter professionals, worth every penny. Thank you for making our special day extra special and truly memorable. My only regret is that I didn't get a chance to say hello and thank you in person to the choir members on the day. AMAZING choir! Hi Orla, Many thanks from me and Julia to you and the other singers for the tremendous performance that you put in at our wedding on Saturday. Almost all of the guests commented on the choir and the atmosphere that the singing helped create. We both had the time of our lives and it started at the chapel! We wanted to drop you a brief note to thank you very much for your choir's beautiful performance at our wedding. We were both so impressed with their music and singing, and felt it made an enormous contribution to our wedding day. We also wanted to thank you for all the assistance and advice you gave us in compiling the song list - we felt it really suited the ceremony. Thank you for your beautiful contribution to our wedding ceremony in Bellewstown, Co. Meath. You were definitely one of the highlights of our day and our guests are still raving about you. Thank you for an amazing wedding ceremony.Best wishes. To Orla & the Dublin Gospel Choir We just wanted to say a sincere thanks to you for singing at our wedding in Tinakilly House. To Karen, Joanne, Catherine and Paul, you made our ceremony extremely special and we'll always remember you fondly. As will our guests - you were the talk of the place! Best of luck with your continuing success and thanks again. Just a quick note to say a huge thank you to the guys who sang at myself and Fran's wedding. The whole group were amazing! The priest was raving about them too! Highlight was definitely Elbow, One Day Like This.....Kevin was OUTSTANDING!!! Still gives me goose bumps! Anyway, hope to see you guys again some time soon. Thanks again for making our day fantastic! Thank you so much for your amazing performance at our wedding. You set the tone for an amazing day and all our guests have been raving about you ever since! Thank you for doing such an amazing job on our wedding day. Your performance was fantastic! We couldn't have wished for more. Thank you for your efficiency and professionalism in the run up to the wedding day. You were extremely helpful and your expert advice was much appreciated. Everyone was impressed with the choir and I'll be sure to recommend you to everyone I meet! Thank you for learning our special songs for us. It meant so much to us - words cannot express. Thank you for helping to make our dream wedding become a reality. Thank you! Having you sing at our wedding really made it special. Not just for me but for our friends and family. Many had never heard you before and they felt you made it a very emotional and memorable cerremony for them. Your endless patience with my questions ensured that we were 110% happy with all the music.Thank you again! We would just like to say thank you so so much for such an amazing performance at our Wedding on June 7th. We had hoped you would add something special to the ceremony and your amazing performance went far above any of our expectations, not only were we amazed, all of our guests were stunned by your fantastic and flawless talent. Thanks again. To the Dublin Gospel Choir members who played at our wedding Sat July 17th.... Wow! We're both so glad you could perform at our wedding. We, along with our family and friends, were blown away with the talent. We had chosen some songs we particularly liked that I believe you had to learn beforehand - well were in our element with the result! I, the bride, found myself singing from my seat up at the altar and I'm sure I spotted my new husband tapping his feet to the beat. We couldn't have asked for better. You made our wedding service and we are eternally grateful. Thanks for creating such wonderful memories. To Kevin, Orla and all in the Dublin Gospel Choir! Everyone is still talking about the fantastic music and singing at our wedding in November. You were all truly amazing. Thank you! Sorry I didn't get to chat to you on Friday but you were amazing!. Everyone couldn't stop talking about ye after! Best mass ever I heard a few say! And thanks for the great rendition of 'Don't Stop Believing' . It meant so much to me as it was my Dad and I's song so it was fantastic to have that. Hi Orla, Can you pass on our deepest gratitude to the choir who sang at our wedding yesterday. From start to finish, we felt so many emotions listening to them. They were the talk of the day. Absolutely unbelievable. They really set us up for what turned out to be the best day of our lives. Thanks again. We had these guys for our wedding and they were simply fantastic. They were very nice to deal with and nothing was any trouble. In the buildup they gave great advice around song choices and on the day they were that good in the church that our wedding guests were clapping!! Id never seen that happen at a wedding before. As bride and groom we were thrilled with their performance and we have had many complimentary comments from our guests on the music in the church that day. They set the tone from the off and the very best thing i can say about them is, when we have watched back the wedding video the stand out bit for us is still the quality of these guys in the church. We never tire of listening to them that day. They are fantastic and i would advise any couples out there to get these guys for your big day! You can not overlook them, they are class at what they do, they can adapt to any music for the day and they sound perfect, I cant not praise them highly enough. 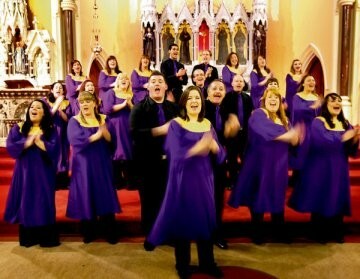 We're delighted that we booked the Dublin Gospel Choir to sing at our ceremony. They were one of the highlights of the day and set a great atmosphere at the start of the day that really set the tone we wanted for the day. We got great feedback from our guests and a good few of friends have booked them for their own weddings as a result of seeing them at ours. Their arrangements are brilliant, and they have a really wide repertoire from classical to more modern lively songs, and were really accommodating in adding a few of our own requests to the list! We were delighted that we asked the Dublin Gospel Choir to sign at our wedding ceremony. They added so much to the occasion and set a great atmosphere for the day. We got brilliant feedback from our guests and have had a number of friends book them for their own weddings having heard them at ours. Their arrangements are brilliant and they have a great repertoire of songs, from traditional to more lively and modern songs. I can't recommend them highly enough! We were very fortunate to have the Dublin Gospel Choir perform at our wedding ceremony on the 10th of May 2013. They were absolutely awesome,we could not have wished or hoped for any better. We choose the songs but they performed them as good if not better than the original versions in our opinion. I would highly recommend them at a wedding as they were the talk of our wedding by most of the guests during the evening and there after. They brought something different but done with great professionalism. We had an amazing outdoor wedding in August 2013 and the Dublin Gospel Choir really made the ceremony so special. The quality of sound was incredible even though we were outside and the range of sounds from each singer was just amazing - all uniquely incredible and together they were out of this world! Working with Orla in the build up to the wedding was great too, she's so flexible and they were open to singing songs outside of their setlist without any concern. I would definitely recommend hiring the Dublin Gospel Choir for your special day! Thanks guys!! We were lucky enough to have a group from the Dublin Gospel Choir sing at our wedding and, on a day of highlights, it really stands out as one of the outstanding memories. One of the main talking-points of the reception was the music in the church with more than one guest saying they would have 'happily paid in to see that'. The group were so professional and helpful in the run-up to the day, with advice on song-choice... they even managed to add a few songs of our choice to the repertoire to make it more personal. Thanks so much for adding so much to our 'happy day'!!! The Dublin Gospel Choir made my wedding day they were absolutely amazing and were the highlight of the whole day everybody was talking about them! I highly recommend booking early to avoid disappointment!